Lubbock TX Second DWI Attorney | Nicky Boatwright, P.C. In the state of Texas, driving while under the influence (DWI) is an enhanceable offense. This means the consequences for a second DWI are more severe than the consequences for a first DWI. This page provides basic information about a second DWI in Texas and is not intended to replace the advice of a qualified, experienced criminal defense attorney. The standard for a second DWI is the same as the standard for a first-time DWI. Specifically, a driver is guilty of a DWI when he or she operates a motor vehicle while under the influence of alcohol or drugs. The driver of a motor vehicle is also guilty of a DWI if operating a car with a blood alcohol concentration (BAC) of .08 or greater. In some specific situations, the laws are even more restrictive. For example, drivers under the age of 21 are not allowed to operate a motor vehicle with any detectable level of alcohol in his or her system. Further, a commercial driver is guilty of a DWI in the State of Texas with a BAC of .04 or greater. Following an arrest for a second DWI, Texas courts require the defendant to install and use an ignition interlock device on the vehicle. This consequence is imposed as a condition of release from jail. The ignition interlock device uses the driver's breath to measure the driver's blood alcohol concentration. The device prevents the vehicle from starting when it detects the operator has consumed any alcoholic drinks. It also has mechanisms built in to monitor who is breathing into the ignition interlock device. This is to prevent a person from having someone else breathe into the ignition interlock device and then an intoxicated person drive the car. A second DWI is a Class A Misdemeanor in the state of Texas. It carries a maximum fine of $4,000. The possible jail sentence ranges from 30 days to 12 months in jail. Additionally, the driver faces a driver's license suspension for a period of time. For a second DWI, the driver's license suspension is not less than 6 months or more than 2 years. In addition to the typical terms of probation, such as remaining law-abiding, courts impose a number of conditions of probation for a conviction for a second DWI. One such term of probation is the requirement that you serve a minimum of 3 days jail time, referred to as shock time. The driver will have to also attend a DWI Victim Impact Panel and DWI Intervention education class. Finally, you can expect the court to order a drug or alcohol evaluation. 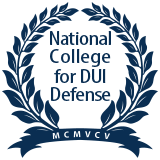 If the evaluation indicates a need for treatment or education, a person convicted of DWI is expected to complete the recommended course as a condition of probation. Finally, the defendant will also be required to complete community service. If the driver is on probation for his or her first DWI, a second conviction for DWI is a violation of probation for the first DWI. This is because, as a condition of probation for the first DWI, the person was ordered by the court to remain law-abiding. If a subsequent conviction occurs, a court may impose some or all of the suspended sentence for the prior conviction. If you face DWI charges, you need competent legal counsel. Contact Nicky Boatwright, P.C. with over 19 years of experience handling DWI defense. She is committed to helping people facing DWI charges. The consequences of a second DWI can be serious. They include both criminal charges that can impact your liberty as well as civil consequences that impact your driving privileges for a period of time. However, in many criminal cases, there are legal grounds to challenge the state's evidence. From the stop of your car to the interpretation of test results, there are legal reasons to challenge the evidence and the charges. Having adequate legal representation can make all the difference. Contact Nicky Boatwright, P.C. either online or at 806-747-8002 for a consultation.